THIS year at the 2019 Brisbane Truck Show, JOST Australia will be showcasing the popular Rockinger coupling RO500 as one of their working displays at its show-stopping stand. The long-established Rockinger brand was created in 1875 and since then, it has had a significant influence on the development of towing hitches and has become synonymous with the highest product quality. Thanks to its wide range of towing hitches, Rockinger has the right coupling for every application. One of their most sought after towing hitches is by far the fully automatic RO500 coupling. Backed by German parent company JOST Werke's that has engineered high-quality and innovative solutions for a wide variety of transport applications since its conception, the Rockinger is regularly named the best brand in the towing hitches sector by customers. Australian Design Rule approved, the 50mm coupling has a D value rating of up to 285kN and a high static vertical load of up to 2.5 tonnes. In addition, the design of the RO500 allows for angles over 90 , creating a tight turning circle with truck and dog combinations. This rockstar tow coupling requires low maintenance due to the special grease filling and is easy to service and repair thanks to the Rockinger modular system. When the latest version of the universal 50mm towing hitch was released years ago, German engineers designed the single-hand operating coupling for future technologies that the Australian market hadn't even realised yet. and the RO500 is no exception. 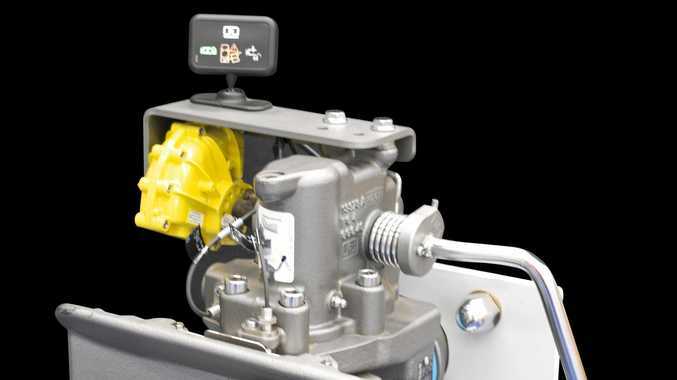 Sales and marketing general manager Corey Povey said the coupling was already prepared for technologies such as locking sensors, turn-angle sensors, jack-knife sensors and pneumatic operation. "They are easily retrofittable giving operators the choice to upgrade without buying a new coupling,” he said. The RO500 can be upgraded retroactively with a range of remote controls and remote displays. Adding the safety sensor technology gives drivers an extra degree of safety and peace of mind, knowing you can always monitor if the coupling is properly connected. The RO500 is ideal for road trains with features like the sealed head unit which ensures no dust ingress, meaning the coupling is equipped to withstand even the harshest Australian terrain. Other popular applications for this 50mm towing hitch include dog and pig trailers. JOST Australia supplies the Rockinger range to the local commercial road transport and agricultural industries. Brisbane Truck Show attendees will find an extensive variety of tow couplings that cover practically any transport application at the JOST Australia stand, and will have the chance to chat to the expert team of operators to ensure they choose the right coupling for their task. Head on down to stand number 078 in the Foyer at the Brisbane Truck Show to see the Rockinger coupling RO500 in action and view the complete range of JOST, Rockinger and Buyers advanced technology transport components.